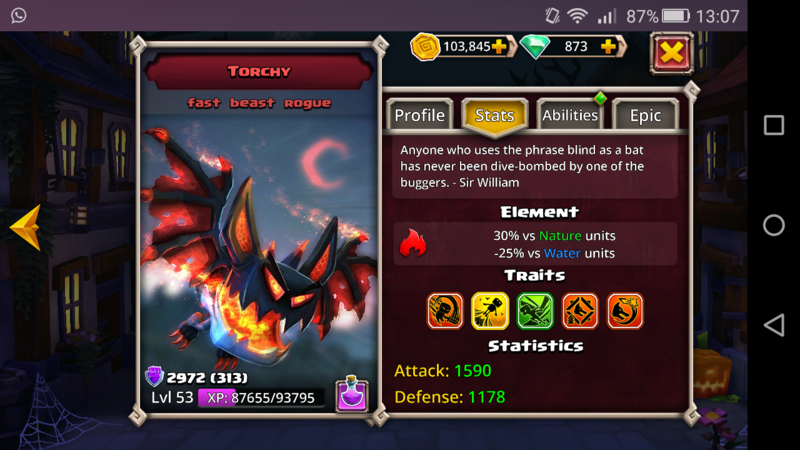 With the addition of solaris beasts have gained new and/or updated passives, torchy should have gaind a passive that allows him to spread fire to other enemies when hit. 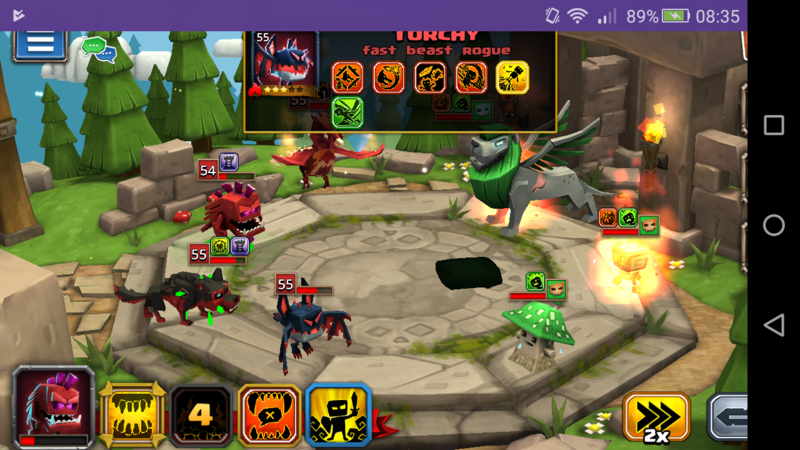 This isn't the case for my torchy, he doesn't have a passive like that, neither have I ever seen that torchy burns an enemy when they or he himself is hit with a basic attack. @Joel, or anybody realy, pleas give me an explenation for how this works. @JustFunPlay Do you have Torchy fully ascended? Seems strange. Is your game updated to the latest version? I'm assuming you have Solaris in your roster? Shouldn't matter but one more thing to eliminate as a possibility. Fully ascending him before Solaris was released shouldn't matter as myself and most others would have had him fully ascended a long time ago. I have torchy at full ascension prior to Solaris. No icon on him either. I've only seen that ability work with snow day buff on Torchy. Has there been an update since GBI? Oh, very odd. 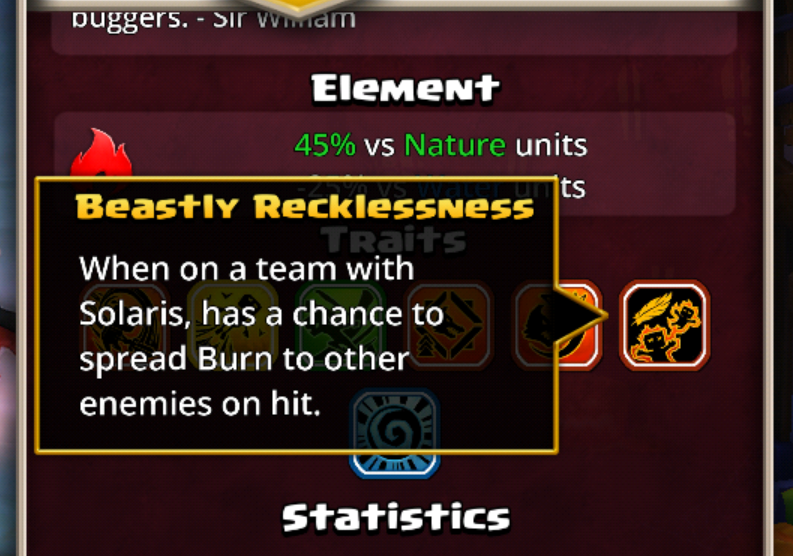 I definitely FA torchy before Solaris debuted and mine has the passive. I can even recall the ability triggering when using BooH. @Rocksor - what level are you? I see that @JustFunPlay is only level 53, so I'm wondering if there is a bug if you are below a certain level. level 46... I've seen it work when he had snow day, about a week after Solaris was introduced. I've never seen it work with out the Snow Day Buff. Having the passive level dependent doesn't make sense. Agree 100% that it wouldn't make sense, but it might be a bug related to that. You are both sub 70 levels, so that is the only commonality I can see at the moment. I just checked my level 31 Torchy on my 2nd account and he doesn't have the icon either. If we can get a few more lower level folks to weigh in we should be able to tell, but with three so far being the case, that is my best guess. @joel -- can you let us know if that passive is supposed to be level dependent and if not, whether there is some bug here? I just re-read the Snow Day buff on Torchy, and it says splash damage. This is different than a chance to spread the burn on other enemies. The Apple Store shows no available updates for DB, so I have the latest DB update. Sounds like what Foozle said is still accurate that the only commonality right now is you're all sub 70. If that is the case, then we need one more sub 70 fa torchy that doesn't have the passive, and if not, we need a 70 fa torchy without or a sup 70 with the passive. But still, @Joel, could you look into this? Can one of the devs please respond? I know it's not a big problem but it is one nonetheless. I'm having this looked into, thanks for the info! @Joel no problem, I'm happy to know that it is being looked into.